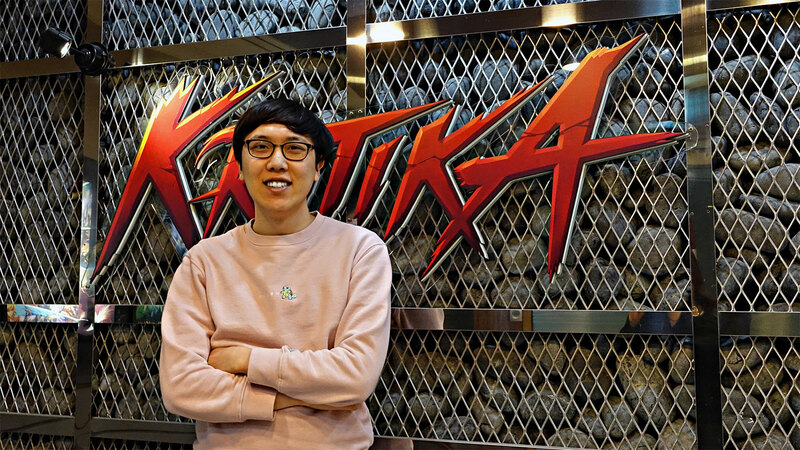 When developing Kritika Online, ALLM wanted Kritika to be a game where the emphasis was on quick gameplay and powerful attacks, encouraging the player to go on the offensive, whether they played solo or online in a party. Eye For Games spoke with ALLM to learn more about how their philosophies behind combat design, and their principles for creating the game’s hundreds of weapons. Hi, my name is JaeHong Kim. I originally worked in character design, and now I work for NA/EU services. 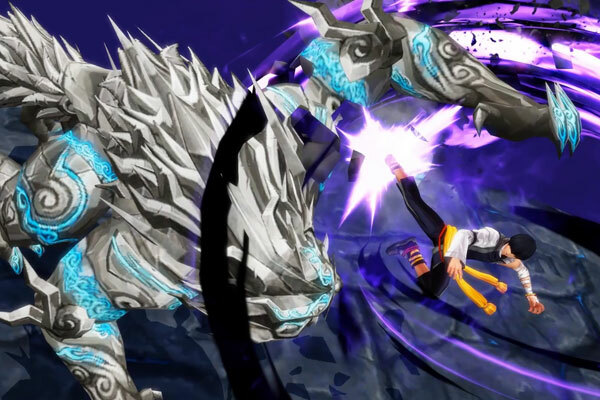 Kritika Online’s combat system is focused on Ultimate Action, which is our catchphrase for the game. 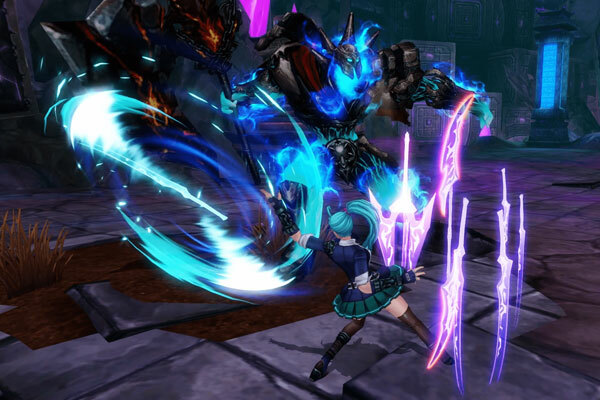 What makes the action ”ultimate” is that Kritika Online allows the characters’ actions to be cooler and more stimulating than any other MMO game, while still making game functions easier to handle through features like auto-targeting, auto-camera, and so on. Additionally, each character in Kritika Online has its own unique combat mechanic. 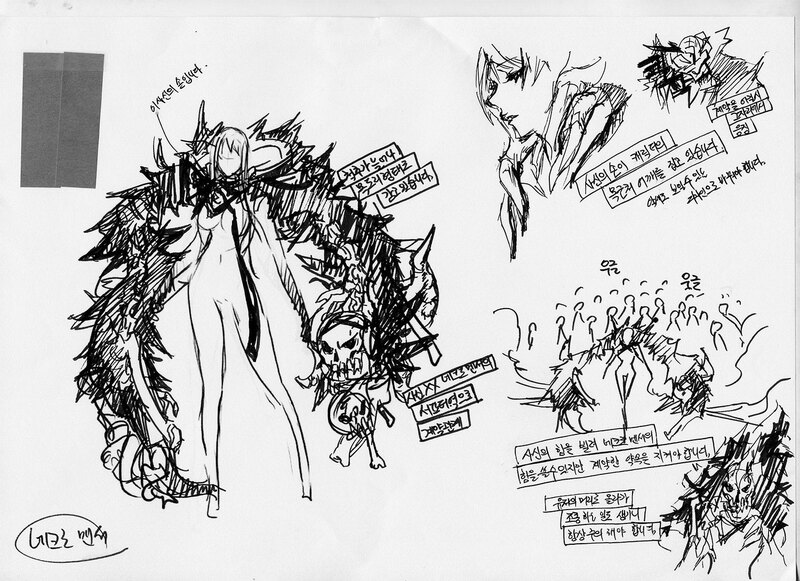 For example, the Vamp has a special resource, blood, which she drains from her enemies and uses to power her skills. Another example: The Fire Lord can collect charges (sort of like gunpowder) in his glove, enabling him to execute more powerful attacks. In many action games, players need to know both their own character’s features and the enemies’ patterns. 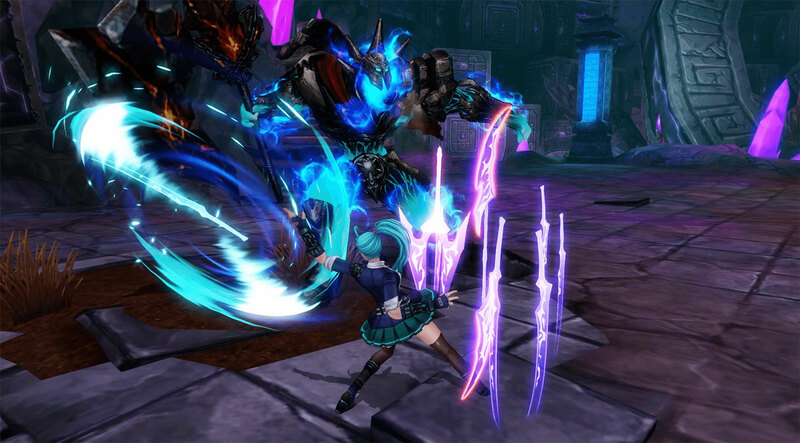 In Kritika Online, I tried to introduce easier controls to make combat more exciting, and cool visuals. To do so, we set a goal to encourage players to control their characters to keep attacking the enemy and not to hide and keep away from it. Players should always be the first and most important part of the game. Players should not feel limited in gameplay by the monster’s strength but should be able to challenge anything, even if the monster is a lot stronger than the player. This is what we believe in terms of a well-designed action game. Not only that, to make the game more exciting, we’ve also tried to create a feeling of striking (i.e. making players to believe and feel he or she is really hitting something with visual and audio responses, even though there is no additional tactile feedback) when hitting the monsters through rhythmical fingertip controls of keys and mouse buttons. We had three key phrases in mind for the system: cool in action, fast and short dungeon playing, and easy to control. These are what we came up with our past project Lunia Z. We’ve trained ourselves from past experiences and wanted to take those three key phrases farther. 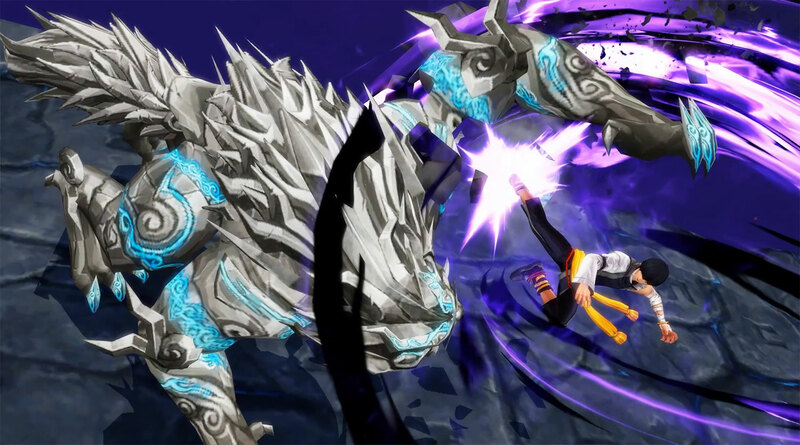 Kritika Online addressed cool in action with over-the-top acrobatics and effects, as well as shorter “reset” periods between actions. I feel that players are more excited about short or fast combat design, so I selected sector battles, which is the best showcase for that playstyle, with a focus on action rather than knowledge. Kritika Online addresses easy to control with auto-targeting and auto-camera, and only simple key and mouse controls instead of inputting complex commands. The uniqueness of our combat design is training every single one of our players to be a skill combo expert, even if they are new to the game. Continuously pressing skill keys one by one makes the character cast never-ending combos with easy controls. To do so, we had to put more energy into designing the length of skill animations and cooldowns to better align with each other and transition smoothly without interruption. I had originally wanted to apply different and varied action styles based on each weapon, instead of weapons that are fixed to each class, and have all the same character animations while different individual weapons were equipped. However, this required a huge amount of additional graphics resources, and it would eventually become a potential source of delays in future development for further new characters and weapons. Thus, instead of visual diversities, we choose to differentiate each weapon type by giving various and different stats to the weapons. Action-heavy design can make its target enemies stiff, like scarecrows or logs. So I always kept in mind a monster’s pattern, action, and system to help prevent characters from becoming overpowered beyond our original character designs. The most challenging part was to make it enjoyable for action newbies, while still making it sufficiently complex for experienced players. Perhaps these goals are always mutually opposed, so maintaining balance among the different characters was challenging. But, as you can see, the result was our great game! Players can get their characters’ “core” skills by the time they reach their median levels. The skills acquired at later levels have longer cooldowns, but they can supplement combo patterns or be used as utility skills. There are about ten skills (including passive skills) before advancing to a specialized sub-class at level fifteen, where they have roughly eight to twelve main skills and five to six support skills to the main ones. These are the active and passive skills. Active skills can be assigned to skill keys. Passive skills provide effects as soon as you learn them. And skills can be awakened at later levels, with awakening points. In action games, agility is heavily applied toward movement speed, attack speed, and skill with dashing. While faster speed lets players feel cooler, it also makes it hard to control your character with any precision. We were concerned that this could hinder combat balance. So we decided that character agility should have some limitations. Basically, whenever a character reaches certain level breakpoints, the character learns a completely new skill. At mid-level, the character can even learn awakening skills—an expanded system for skills that are already acquired that allows players to unlock tremendous attack power and/or special extras and create a new special skill. And, of course, the imprinting system—a system to intensify the effectiveness of already acquired skills by increasing attack power and/or decreasing skill cooldowns—is waiting at the upper levels, and that can profoundly change a character’s combat mechanisms. 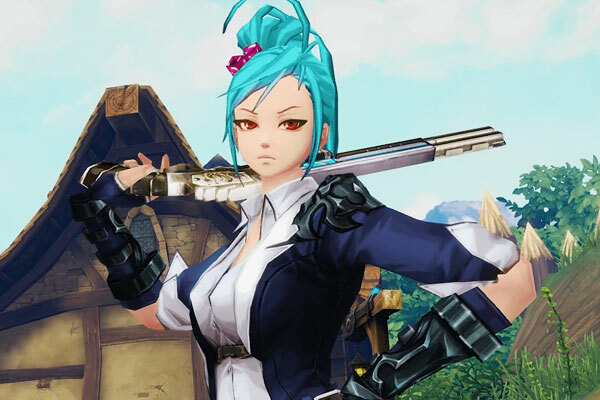 Because Kritika Online has set both cool and exciting action as its emotional goals for players, the plan for balance has been mainly offensive abilities. The game has some defensive skills, of course, but even those are more about attacking. So my suggestion for players is to focus on creating combos, rather than evasion. Appearance and visual characteristics are often influential because they give players a reason to justify the possibility of their character’s combat style. 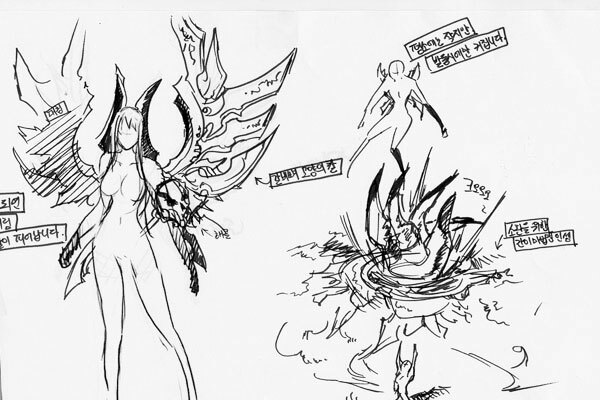 Therefore, when we design a new skill or ability, we usually consider how it impacts the character’s appearance. Before I make a decision I mainly think about three things: action, balance, and rendering. Since the beginning, the Allm design team has set a boundary for the minimum number of active skills, and we keep this number in mind throughout the design process. 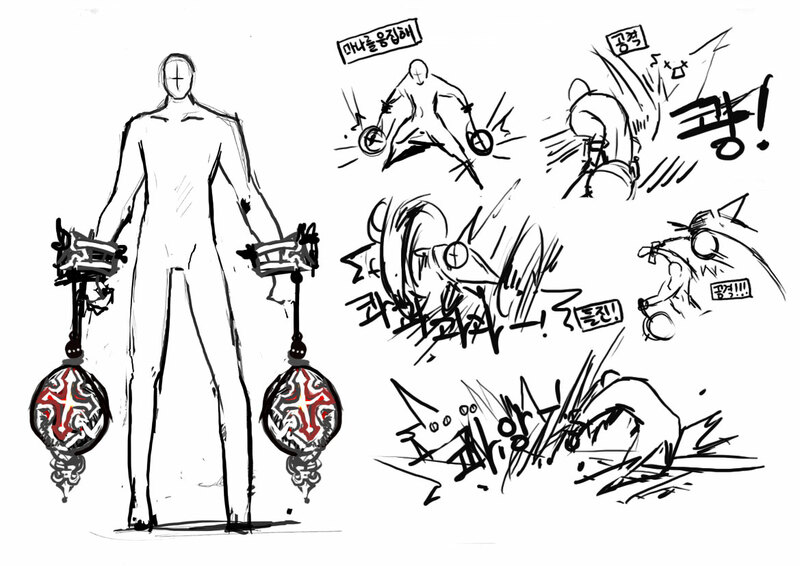 First, we consider the skill concept of a new character and decide whether it matches the world or not. Then we test it and consider how to render it in game, as well as how to balance it against existing skill concepts. The designers and QA teams compare every new ability to one which is already in the game. We look at a lot of factors, such as the potential for combos with old and new skills, similar concepts, or how it fits with the character’s concept. For example, for a character defined by short range but high attack power, adding wide-range skills is okay, but the balance shouldn’t limit us to using wide-range skills only. 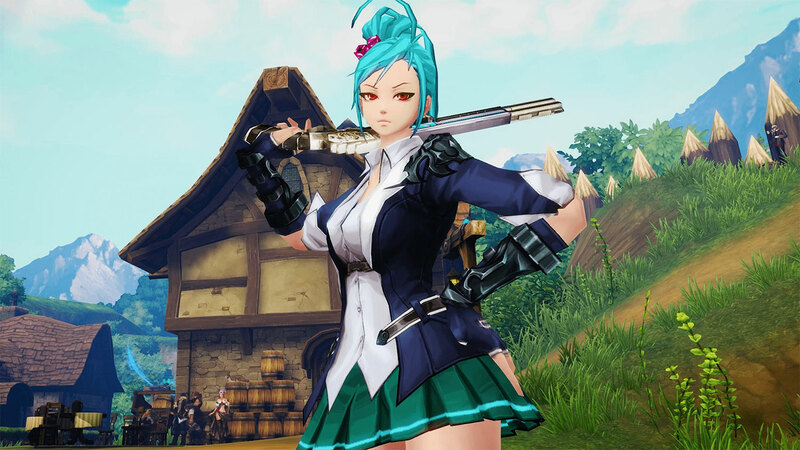 As an online game, Kritika needs to be constantly adapting. Therefore, through continuous game updates, skills sometimes need to be polished, and sometimes skills have to be scrapped. However, even if a skill is officially scrapped, but graphic resources like character motion and effects are done, we sometimes repurpose those later for different skill development. A big one is going on now: the balance between skills. Newly-developed skills commonly tend to be stronger and more impressive. This affects balance. There are five representative weapons (as of January 19, 2018): sword, dagger, gun, bracers, scythe. Except for bracers, each has three sub-categories. For example, the sword has greatswords, claymores, and longswords. 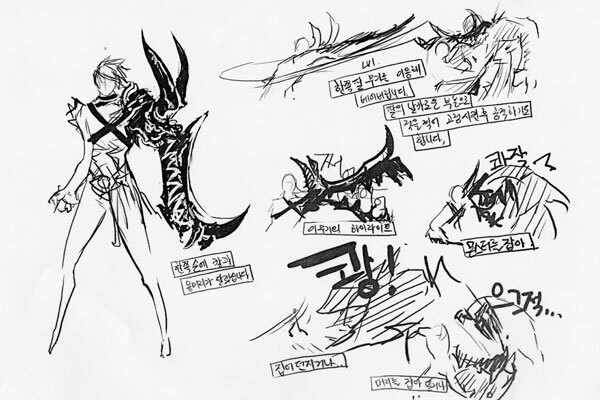 So that means we have a total of thirteen weapon types in Kritika Online. About 300 unique weapons are in Kritika Online so far. And even so, many weapons with the same appearance could have very different properties. We design a few raw concepts, choose one we like, and then render it in-game. When we start designing a weapon, we always start off with asking ourselves what we would want to see with this new weapon. There’s no correct or right answer—it could be dull and slow, or sharp and fast looking. Once that’s decided, then the rest of the ideas come easily. 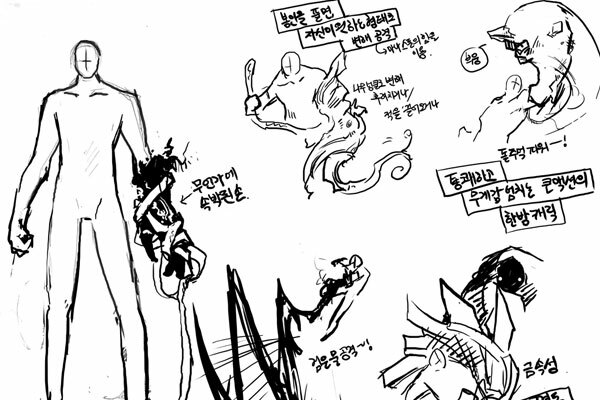 Finally, we hand them over to the concept art designer to visualize our requests and add details to it. We try to design weapons based on where they drop (i.e., which location in the game), or the monster that uses them. Because of that, we try to get inspired by the scenery of the location and the appearance of the monsters. The unique visual design is very important because we want players to be able to tell at a glance what the weapon is. We had to create a design that doesn’t look similar to any other weapon in the game. We try to avoid fusion-looking weapons, where two existing weapons are simply combined together in the game to give players a direct and easy visual understanding of every single weapon. 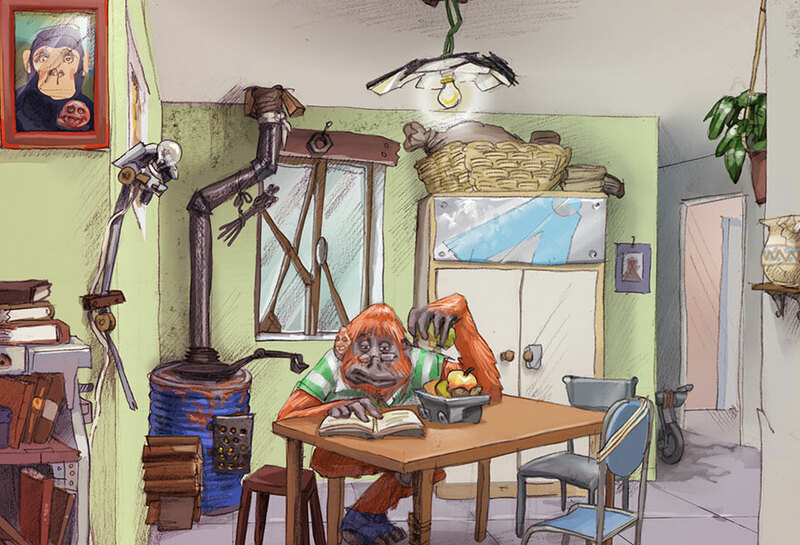 During the initial design process, we primarily used paper sketches or verbal descriptions. Once the weapon design is determined, our visual design team starts sketching the official concept drawings in Adobe Photoshop using Wacom Intuos tablets. We carefully designed weapons for maximum exposure when players are using them. 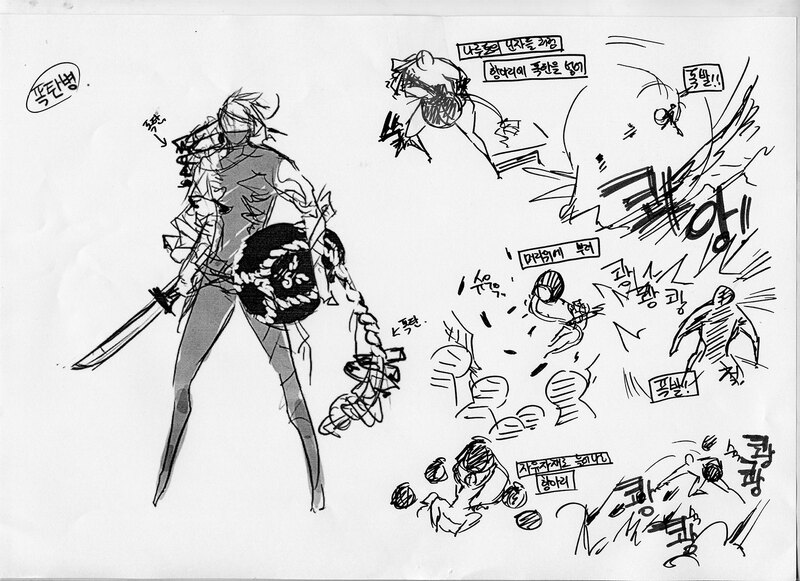 That meant that we also carefully designed each character’s poses so that they would show off their weapons. Initial concepts are relatively freeform. However, we made a conscious decision to avoid fusing two weapon designs together. A sword and a gun shouldn’t be merged conceptually. None so far. 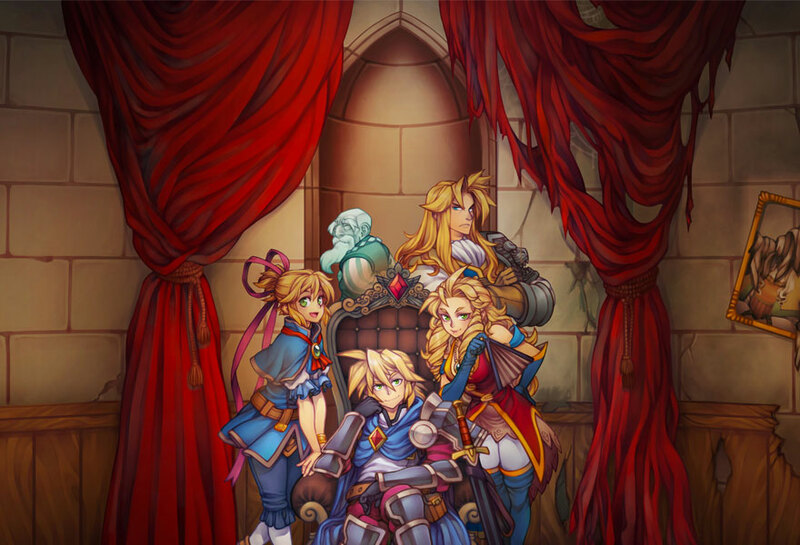 Kritika Online has all of the world’s history—both real and mythical—as a basis. So any weapons that have been concepted are either included in the game so far or are ready to be. I would say “difficult” rather than “challenging.” Because of how long it takes from concept to final rendering, the creation of a new weapon is the most difficult. Every time I began designing a weapon, I would say to myself, “Human creativity is unlimited,” and then the ideas flowed from there. 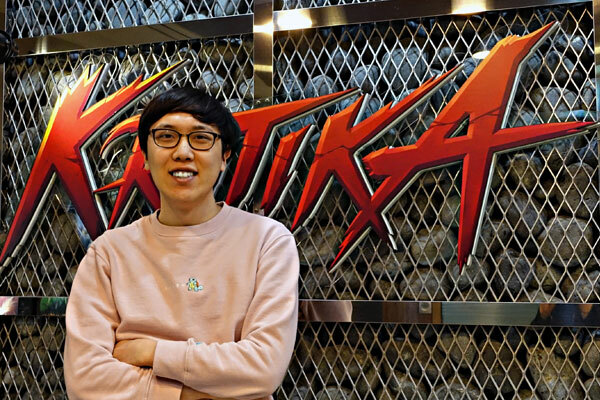 We thank JaeHong Kim for talking about the development process on Kritika Online.